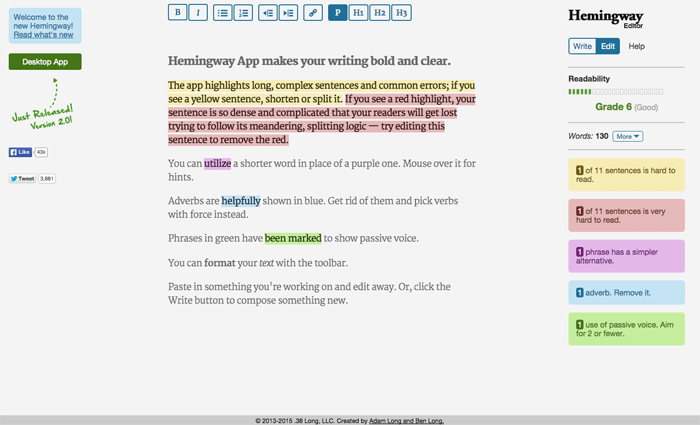 Description: The Hemingway app works hard to make your writing easy to red. It will highlight in yellow any sentence that is hard to read, and highlight in red any sentence that is so hard to read that it should be reworked. It will also tell you when you're using the passive voice, when there are suggestions for alternatives to the words you're choosing, and what grade level you're writing at. By the way, this paragraph is at a 9th grade level. 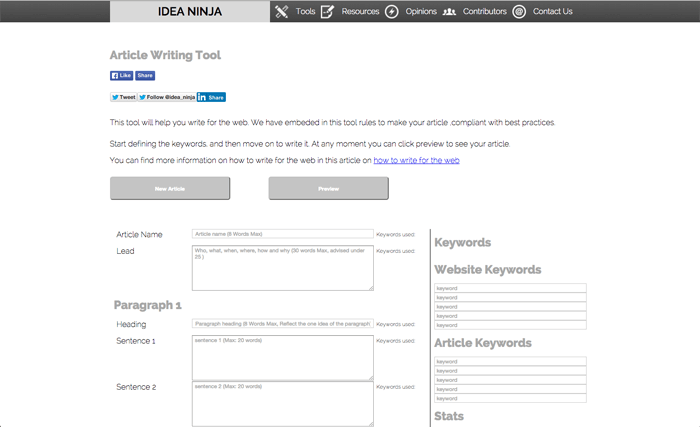 Description: If you have trouble outlining and planning articles, this tool could be a godsend for you. It segments the article into paragraphs, and then segments out each paragraph into sentences. Also, you can list the keywords that you're focusing on / trying to rank for, and it will keep track of how often they are mentioned in the article. 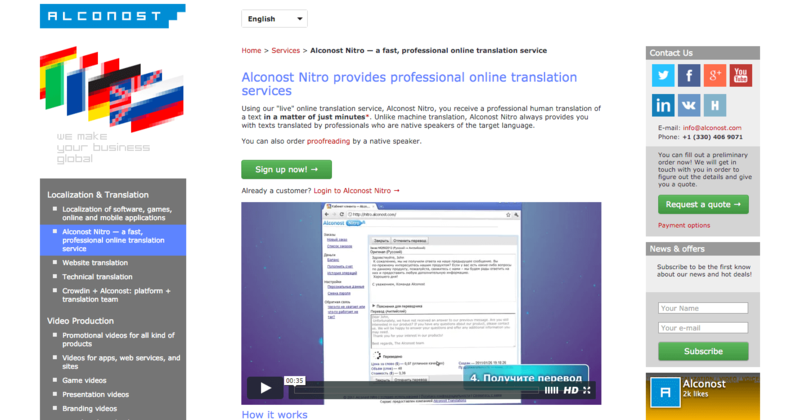 Description: Nitro lets you translate your texts into 40+ languages. Enter your text and comments, select languages, add funds to your account, wait for a few minutes to a few hours and then get your text, which have been translated by a team of professional translators. Nitro is awesome for translating private and business letters, texts for websites, product descriptions, tweets, blog updates, multilingual technical support messages. Nitro is much easier to use than working with a regular translation agency. And it achieves exponentially better quality than regular online translation services such as Google Translate. 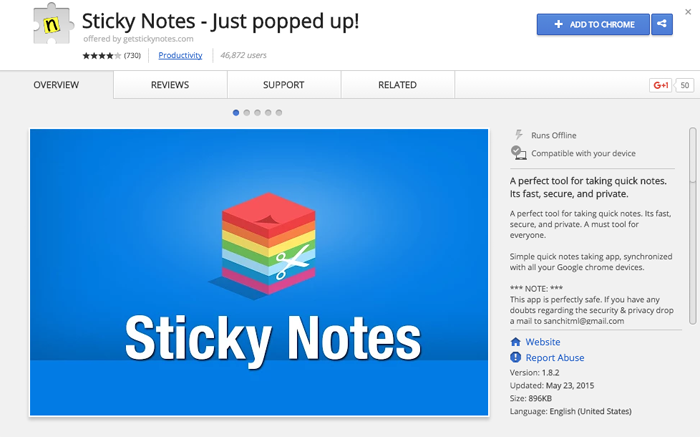 Description: Simple quick notes taking app for chrome. Focuses on immediate need of taking notes within browser tab. Notes can be collated later to evernote or any major note app. Description: A really awesome and powerful text editor, whether you're writing prose or code. 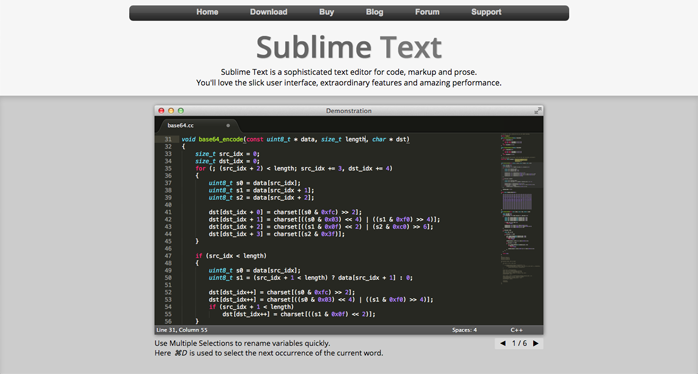 Sublime text is what this site was coded with. It has a ton of powerful addons, too.